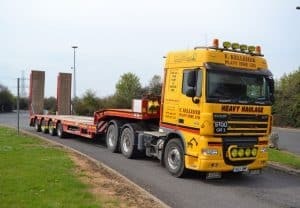 Kelleher Plant Hire Ltd was established in 1992 and has grown steadily to become a leading supplier of plant and machinery to the construction industry. With an operational base located in Essex near the M25 it is ideally placed to service London and the surrounding areas. The company has worked on some of the UK’s most significant construction projects including the Millennium Dome, Olympic Park and Crossrail. Plant manager, JP McDonagh, outlines the journey from FORS registration through to Gold accreditation and explains how FORS membership has benefited the business through improved safety standards and operational performance. We were first introduced to FORS back in 2013 when it became a contractual requirement with some of our main clients. When we started to implement the FORS standard we could see how membership would benefit the business in terms of safety and overall operational efficiency as well as customer retention. Preparing for the initial Bronze audit prompted us to review our working practices and management procedures. We focused on making improvements wherever possible. We introduced better driver entitlement checks, new fuel management systems and a comprehensive driver training and development plan. The audit itself was a very positive experience and provided us with some useful feedback and guidance. After passing our Bronze audit, we continued to take advantage of the member benefits and various toolkits including the toolbox talks, performance monitoring systems and online E-Learning modules. We were encouraged to constantly review and monitor performance and set new goals and targets for the business. Having access to the FORS E-learning modules has proven to be very beneficial to our operation. These modules allow us to raise awareness about important road safety issues and inform drivers in an interactive and flexible way. We can plan training around their working schedules and conduct training at convenient times without disrupting our business activities. As FORS members, we also took advantage of the fully funded Safe Urban Driver training which gave our drivers a great understanding of the cyclist’s perspective on the road. Our vehicles often operate within central London and this training has helped us to effectively manage road risk and maintain an excellent road safety record year on year. Once we had achieved Bronze accreditation we were determined to progress to Silver. Having been through the initial audit we were confident we could progress through the other accreditation levels. We obtained Silver accreditation in 2015 and have successfully maintained this each year. In 2018 we made the decision to progress to Gold to further demonstrate our commitment to operational improvement and industry best practice. Driver health and fitness review – We have introduced a medical questionnaire for our existing drivers and it is company policy for any newly recruited drivers to complete this during the initial induction and entitlement checks. Strategy for recruiting drivers – As a small fleet operator, we have a very low staff turnover and we are fortunate to have the same drivers employed for many years. 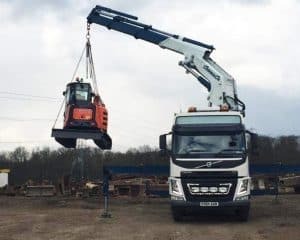 Due to the specialised nature of some of our activities which involves the movement of plant and machinery it can be difficult to find suitable drivers. We are currently looking at different options to recruit drivers internally within our existing workforce by putting yard-based staff or plant operators through HGV driver training. Noise assessment – The nature of our work means we are quite limited in terms of noise reduction systems. However, in an effort to minimise noise pollution from our activities, all vehicles are fitted with white noise reversing alarms. We also have policies in place for drivers to reduce engine idling and be mindful of other noise such as in-cab sound systems. Modal shift and alternative vehicles – Our work activities don’t currently facilitate the use of alternative modes of transport however, we are awaiting the arrival of a new Euro VI vehicle which will help to improve overall fuel consumption and emissions output. In line with our company ethos of continuous improvement, we have plans in place for 2019 which includes fleet modernisation and staff development. The purchase of a new vehicle will not only help improve fleet performance, it also ensures we can meet the latest ULEZ emissions standard for London. In addition, we have planned driver training which includes FORS approved LoCity classroom-based training and manager training including FORS practitioner modules. Achieving Gold accreditation is confirmation that we are operating to a very high standard. It validates all the hard work and improvements we’ve made over recent years and demonstrates to our client base that as a business, we are always striving to be better. In a competitive industry, it is important that we can differentiate ourselves from other service providers and being FORS Gold accredited helps us to achieve this. We will continue to develop our management procedures and make the most of all the resources and benefits FORS has to offer. We are already planning for FORS version 5 and will be taking full advantage of the various training modules offered to members.